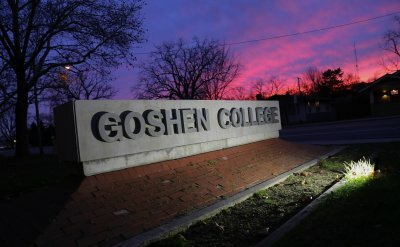 Photos from around GC in December, 2018. See the best photos that captured the magic of 2018. 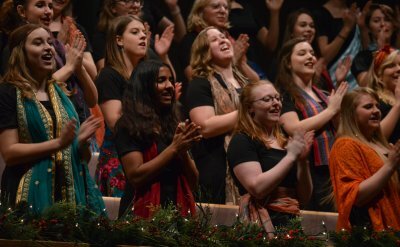 Goshen College presented the 15th annual musical celebration of Christmas, “A Festival of Carols,” Dec. 7-9, 2018, in the Music Center’s Sauder Concert Hall. 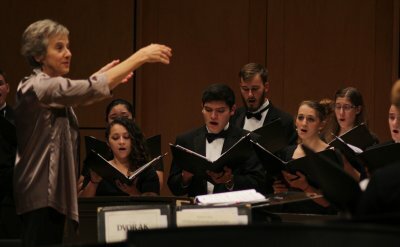 Performers included the Goshen College Chamber Choir, Men’s Chorus, Women’s World Music Choir, Goshen College Symphony Orchestra and Shout For Joy Children’s Choir. 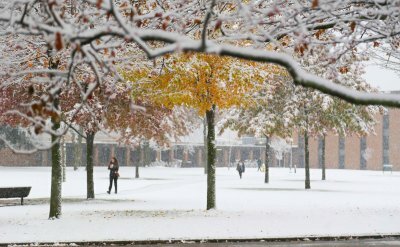 Photos from around campus in November, 2018. 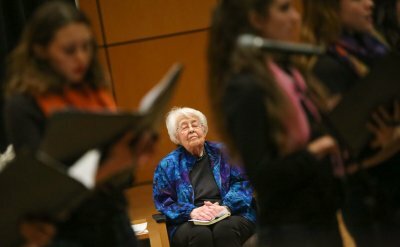 Renowned composer, conductor and teacher Alice Parker and professor of music emeritus Mary Oyer discussed their friendship, musical legacy and involvement with the Mennonite community. 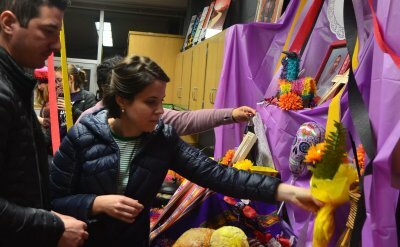 On Saturday, Nov. 3, Campus Activities Council hosted a Dia de los Muertos celebration in the Intercultural Student Space. Goshen College's Chamber Choir, directed by Debra Detwiler, and the Goshen College Symphony Orchestra, under the baton of José Rocha, joined together for a concert in Sauder Concert Hall on Friday, Nov. 2, 2018. 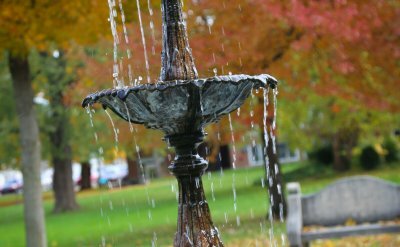 Photos from around campus in October 2018. 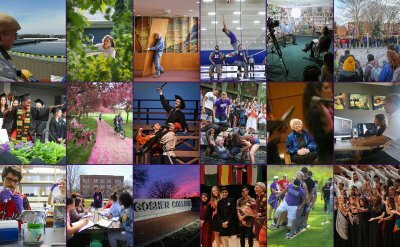 Goshen College’s annual Homecoming Weekend took place Oct. 5-7, with lots of activities for alumni, families and friends. 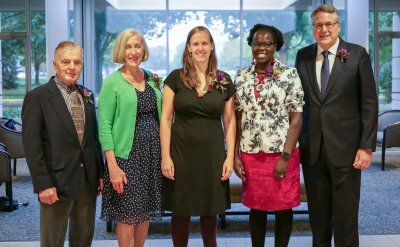 During Goshen College’s Homecoming Weekend on Oct. 5-7, 2018, the college honored five outstanding alumni with awards for their commitment to the college’s core values.